Pokabu/Tepig is a pig-like Pokémon, primarily orange in coloration with the additional colors of black, pink, and yellow on various portions of its body. It has large, ovular eyes, an archetypically piglike ruddy-pink nose, and a thick stripe of yellow over its snout. Much of its face has black coloration, and its ears, long and oblong, are positioned closely together on the top of its head. 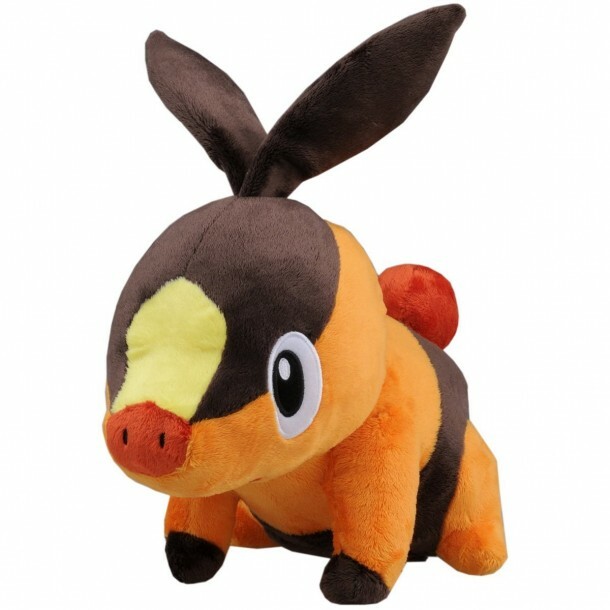 Tepig has short legs, with the extremities of its forefeet being black in coloration. There is a band of black on its lower back and rear, from which extends its coiled tail, topped with a ruddy-red bauble-like adornment.